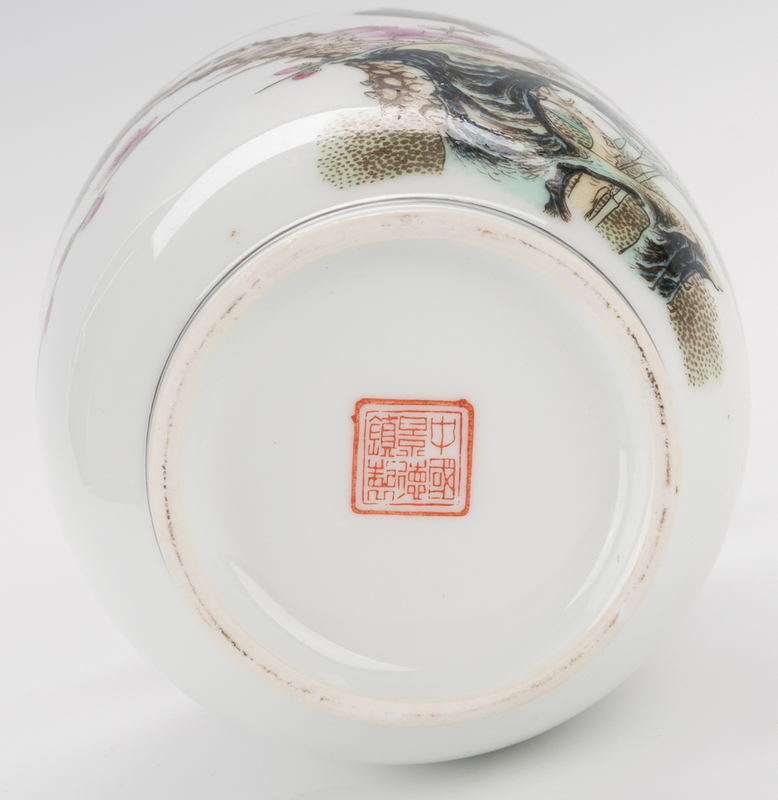 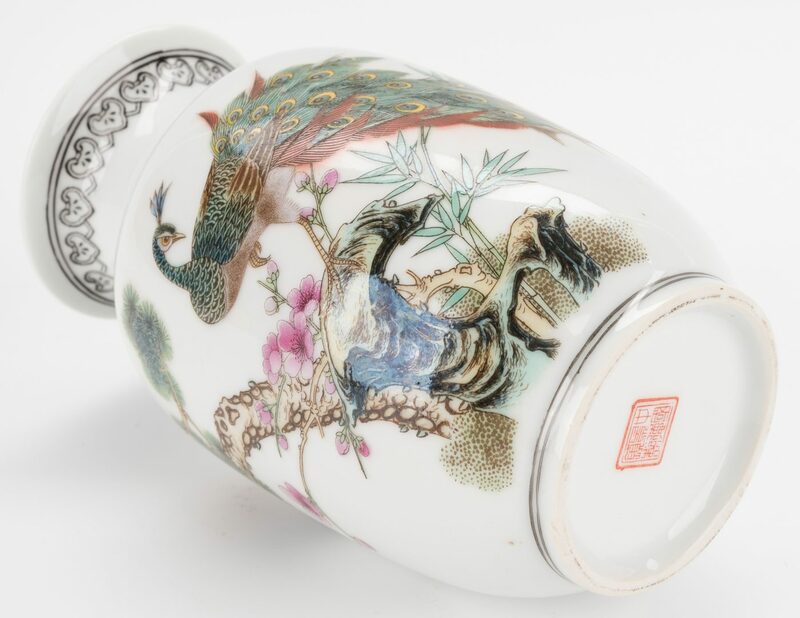 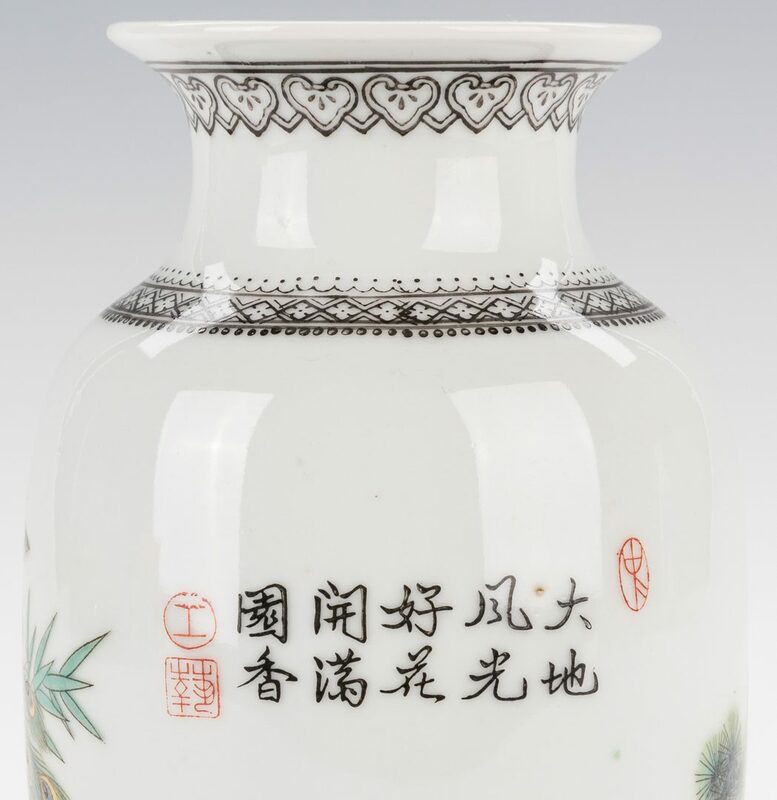 Six (6) Asian Decorative items, including Cinnabar, Peking Glass, Republic porcelain and Japanese porcelain. 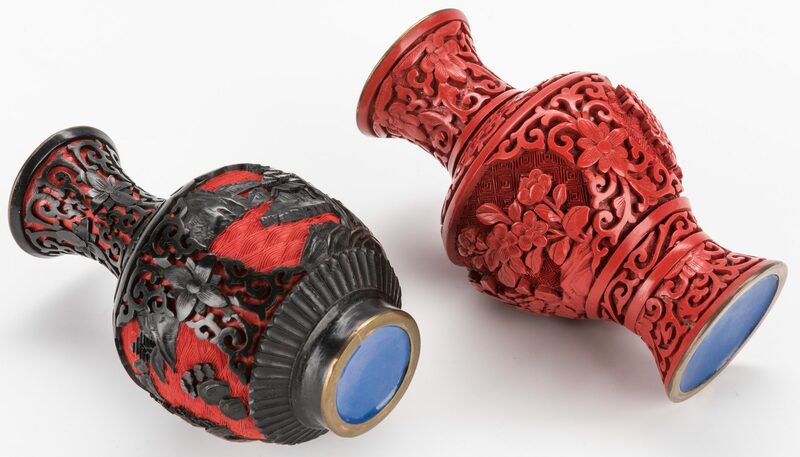 Two (2) Chinese cinnabar vases having blue enameled interior and hardwood stands, one (1) Chinese yellow Peking Glass bowl with stand, Chinese Republic period porcelain vase with white ground, hand-enameled with brightly colored peacock perched on a pine tree with black filigree style trim painted at neck, rim and base, and Chinese inscription or verse on backs and iron red seal mark on base, and two (2) Japanese porcelain double fish plates, signed on the base. 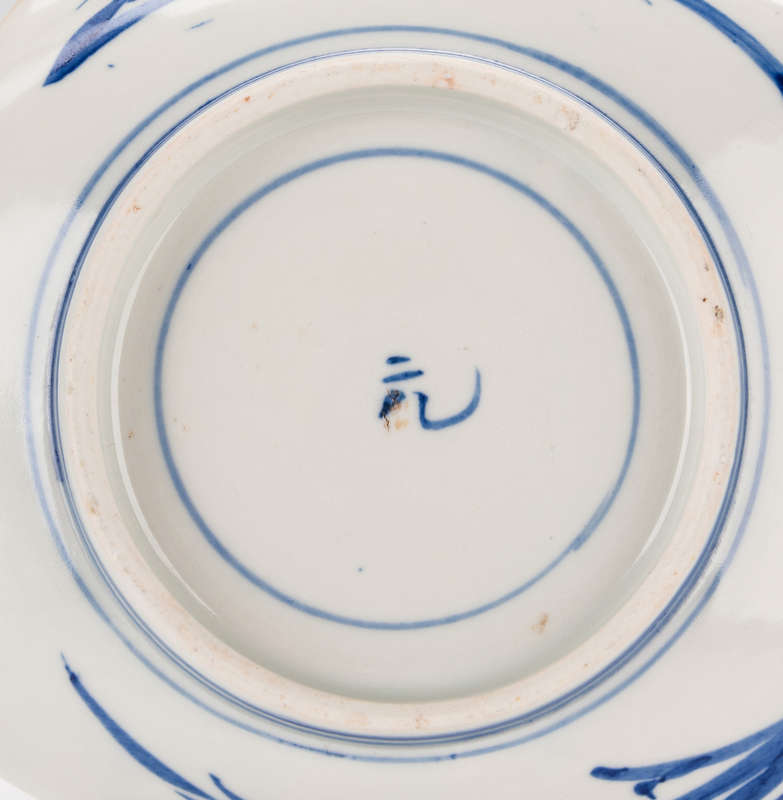 All items 20th century, ranging in size from 1 1/4" H x 9" W to 6 1/4" H. CONDITION: All items overall very good condition with the exception of one (1) fish plate that has a chip to the rim.